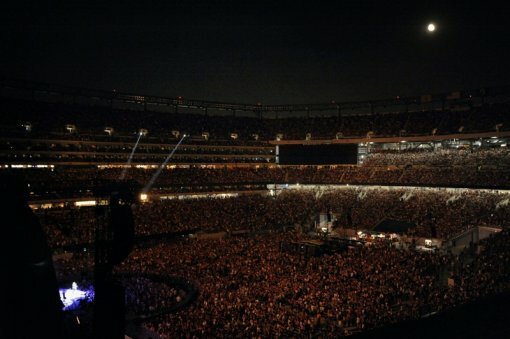 Perhaps I’ve been living under a rock, but aside from Bon Jovi and U2, I didn’t realize that any other rock shows had been booked to play the New Meadowlands Stadium this year. But then again, maybe lots of other people are living under the same rock, since a limited number of $20.00 fee free tickets just went on sale for the Thursday night (June 10) Eagles show at The New Meadowlands Stadium. (Dixie Chicks and Keith Urban are also on the bill as openers.) In a related thought, it just occurred to me where Macca could play this summer.